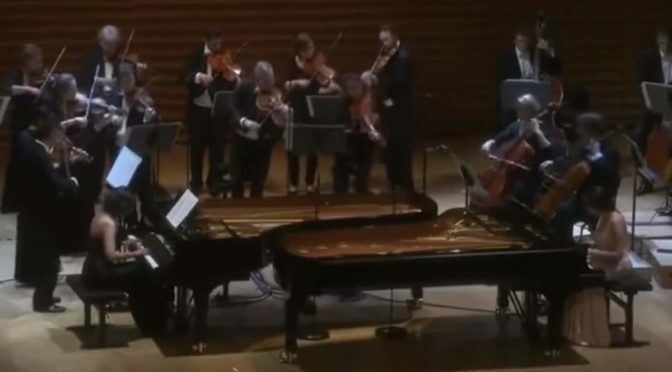 Georgian violinist Lisa Batiashvili and the Georgian pianist Khatia Buniatishvili perform Franz Schubert’s Rondo in B minor for violin and piano, D 895. 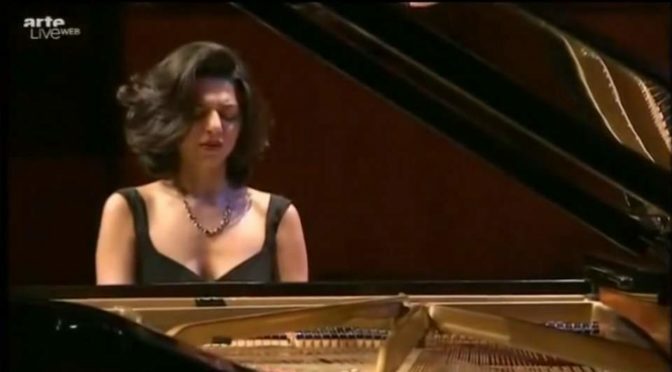 Georgian classical pianist Khatia Buniatishvili plays Frédéric Chopin’s Piano Sonata No. 2 in B♭ minor, Op. 35, popularly known as The Funeral March. Here are the top ten most viewed posts on andantemoderato.com in April 2016. Georgian classical pianist sisters Khatia and Gvantsa Buniatishvili perform Johann Sebastian Bach’s Concerto in C minor, BWV 1062. It is originally scored for two harpsichords, two violins, viola and continuo (cello, violone). Harpsichord parts have been played with the piano here. Here are the top ten most viewed posts on andantemoderato.com in March 2016. Here are the top ten most viewed posts on andantemoderato.com in February 2016.